How to use Do not swallow and do not use more mouthwash than the label tells you to. Use twice a day. Fill the cap to 10 ml line. Rinse mouth thoroughly for 1 minute then spit out. Gum disease: A one month course (600 ml) is recommended. Mouth ulcers & oral thrush: Continue to use for 2 days after healing has occurred. 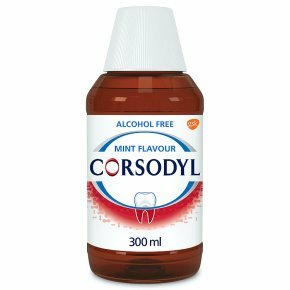 Denture sore mouth: Clean & soak your dentures in Corsodyl for 15 minutes twice a day. Dental surgery: Rinse as directed by your dentist. If your symptoms persist, see your dentist.